Last night we made a great discovery, Ngon, one of our favorite restaurants currently offers a great special on Monday nights: Two Traditional Vietnamese Entrees, Pork or Vegetarian Vietnamese Spring rolls and a pitcher of beer for $30. It has only been a few weeks since I wrote about the lovely, secluded patio, and a few months since I first wrote about Ngon’s selection of local-only beers, and traditional and inventive Vietnamese cuisine with locally sourced, sustainable meat and produce. It seems a bit soon to write about it again, but the offerings at Ngon are unwaveringly well-prepared and delicious, so we keep going back. 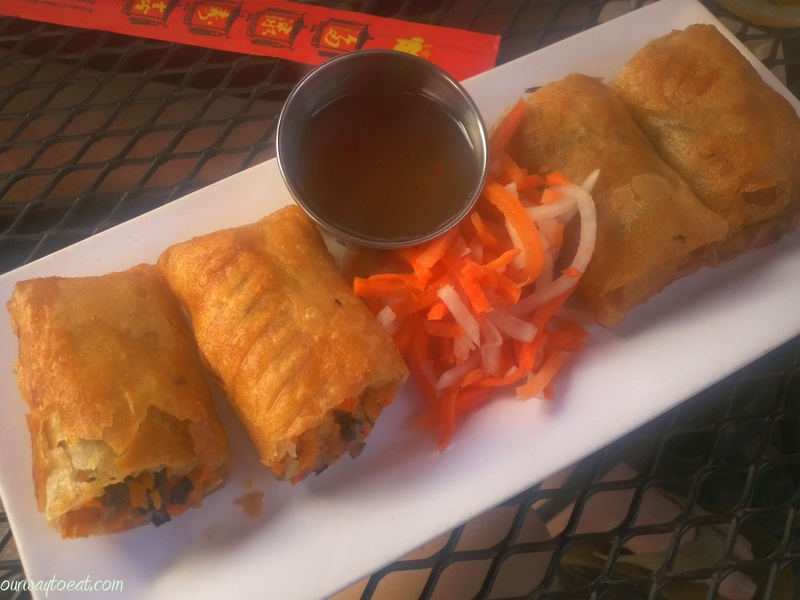 We started with crispy vegetarian spring rolls which immediately cut our hunger. 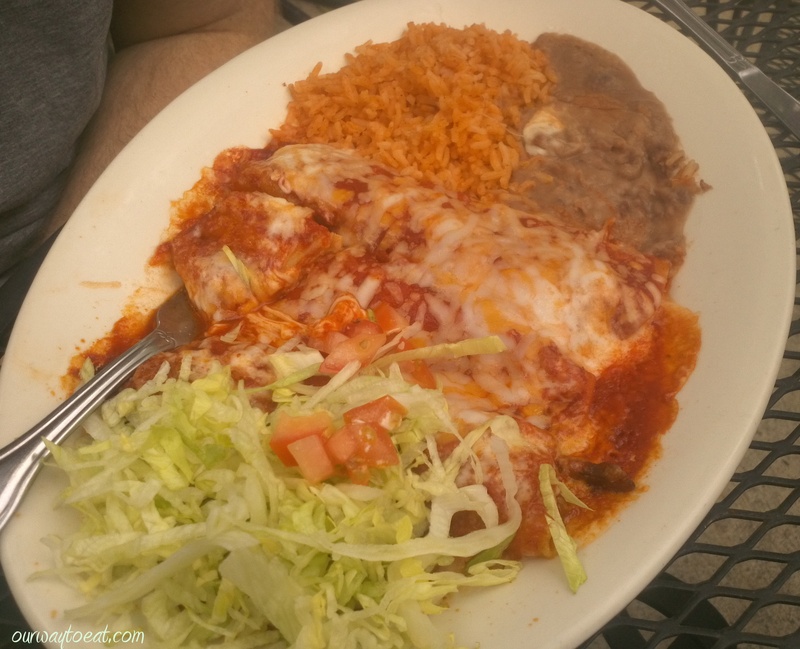 Fortunately, after the indulgent, fried appetizer, our main dishes were lighter. 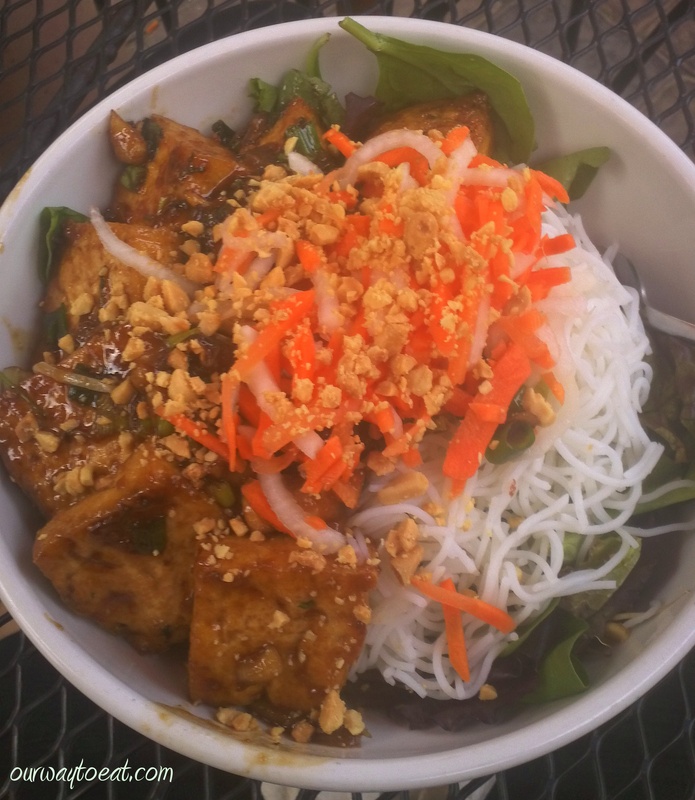 I ordered Bún, a rice vermicelli salad with organic greens, cucumbers, bean sprouts with saucy, fried tofu, garnished with pickly carrot, herbs and peanuts— my new summer go-to dish at Ngon. Bjorn had a steamy, flavorful bowl of meatball Phở and piled on bean sprouts, slices of fresh jalapenos and basil leaves which are provided as garnish. We managed to polish off a pitcher of Northwest Passage IPA by Flat Earth Brewing Co, a super-hoppy IPA made with Canadian malts and four American hops. Flat Earth Brewing Company reports that “Northwest Passage goes well with Phở, Buffalo wings & bon fires.” Bjorn completely agreed, and I will enthusiastically add that Northwest Passage also pairs well with spring rolls and Bún. 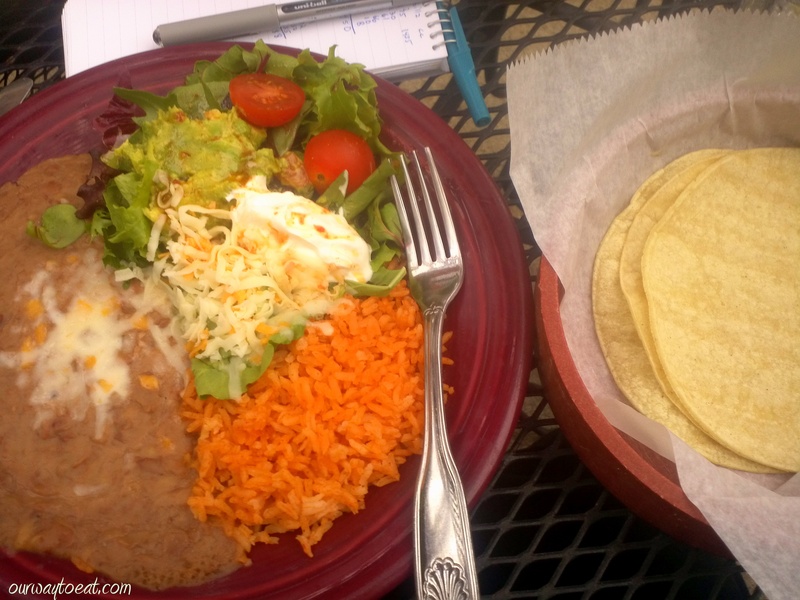 This meal was a great deal–had it not been for the Monday night special, we probably would have only ordered our entrees and a pint of beer, it was Monday, after all. 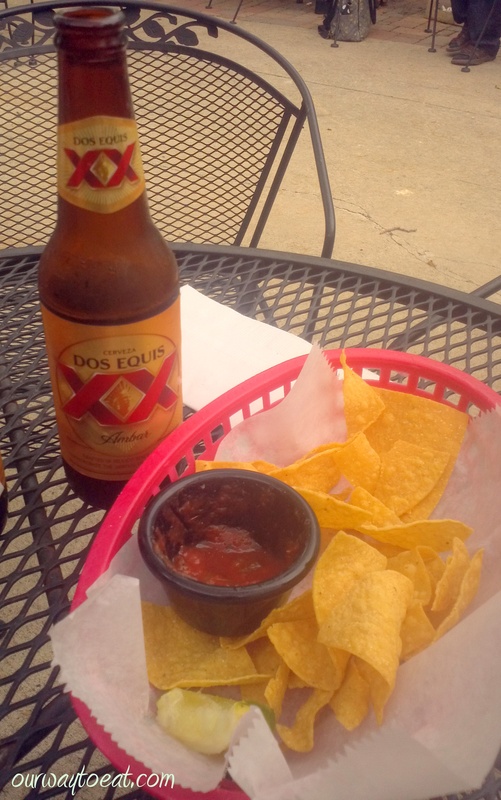 But, then again, why shouldn’t dinner out on a Monday night be tasty and a little extra nice? We’re fortunate to have Ngon in our neighbourhood and to have discovered that they offer a deal that makes a special and relaxing meal possible on the unlikeliest of nights. I’ll be back soon with a garden update!